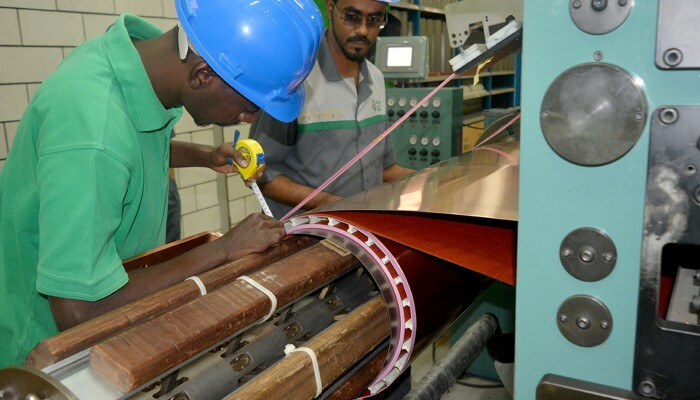 Copper-Cast low voltage coils are wound exclusively using copper foil, insulated by a class F or H resin pre-impregnated inter-layer insulation. 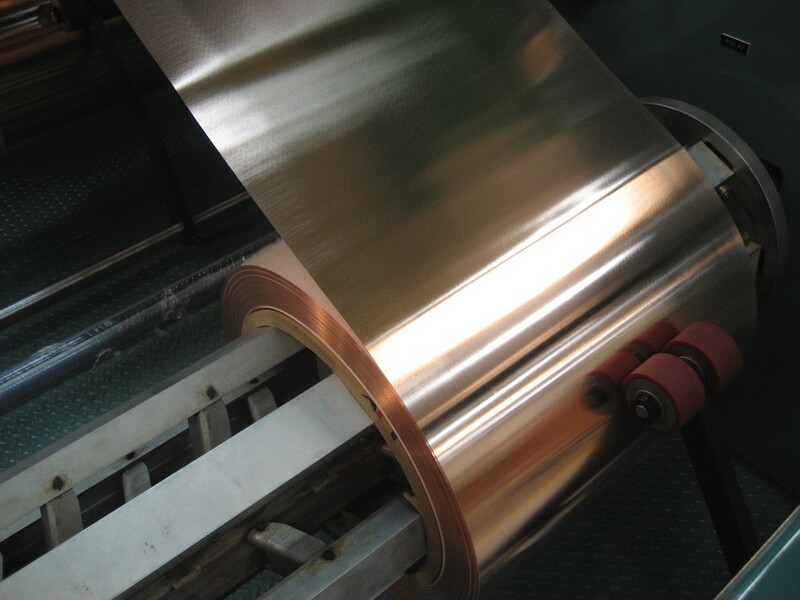 The copper foil used by S.E.T.F, are made out of electrolytic copper, with a purity exceeding 99.98% and an extremely low oxygen content to confer a very high conductivity, thus reducing losses and associated temperature rise. 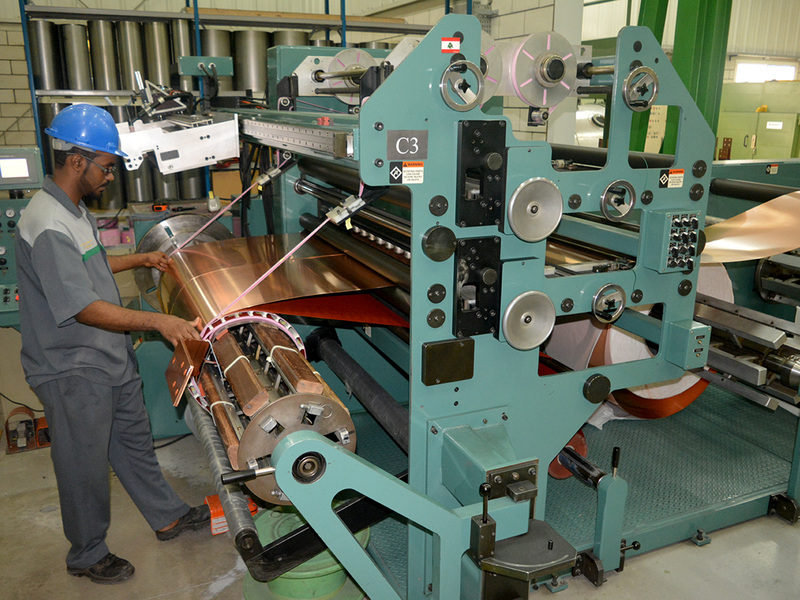 The edges of the copper foil are especially treated and rounded to avoid burrs and sharp endings thus reducing dramatically the chances of having cuts in the inter-layer insulation and therefore providing a higher reliability and a longer life to the coils. First, copper conductivity is so high compared to other electrical materials that losses, temperature rise and all other resistance related adverse effects are really reduced to negligible levels -S.E.T.F transformers are categorized as super efficient machines. On the other hand the ductility and mechanical strength of copper and copper related components confers very high resistance to dynamic short circuits. 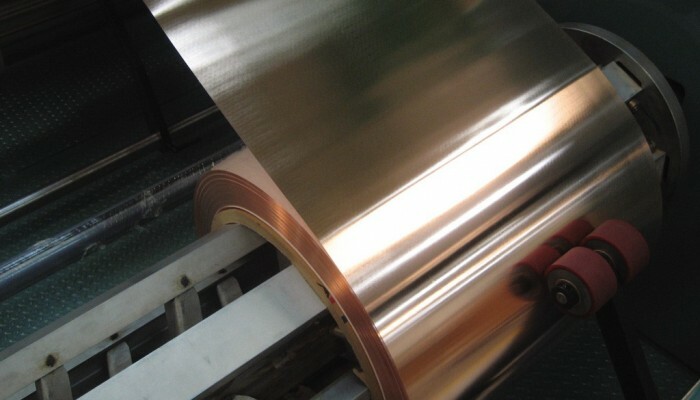 With copper foil as the basic building block of the low voltage coils, S.E.T.F guarantees the best performance and endurance for these components even under the toughest operating conditions. 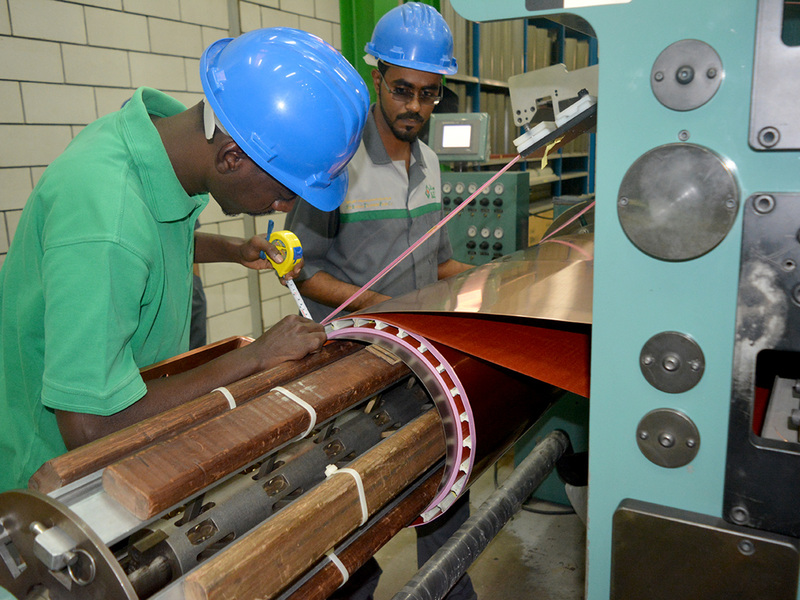 Copper-Cast high voltage coils are wound exclusively using copper enameled round or square wires, insulated by Mylar, which forms a special inter-layer insulation material and cast in a special epoxy resin of thermal class F or H.
The copper wires used by S.E.T.F are of a very high purity and enameled by a minimum of 8 varnish layers, to form a GRADE II insulation. The insulation material gives a thermal class S for the copper wires, which guarantees a normal operation even at copper temperature reaching 240 degrees Celsius. Additionally the nature of the insulation material used give the wires a higher resilience to breakage or degradation, and a higher elasticity especially useful under the sever conditions of a dynamic short circuit. 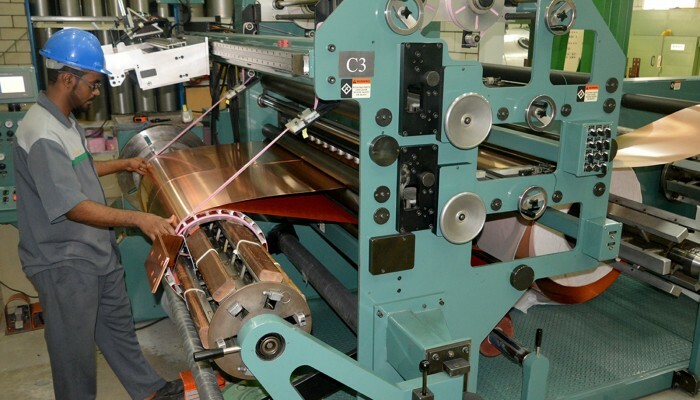 The use of this winding technology gives the coil a very low resistance compared to aluminum wires, thus reducing drastically the copper losses and the temperature rise of the high voltage coils. Unlike other manufacturers, S.E.T.F has refused to shift to aluminum, or even copper strips and this for multiple reasons. Among these reasons is the obvious thermal and efficiency performance of our coiling techniques. S.E.T.F high voltage coils in particular and S.E.T.F transformers in general are considered to be super efficient electrical devices. On the other hand, the winding technique used by S.E.T.F and incorporating these particular copper wires confers the coils a higher resilience to lightning impulse and a better overall dielectric property. 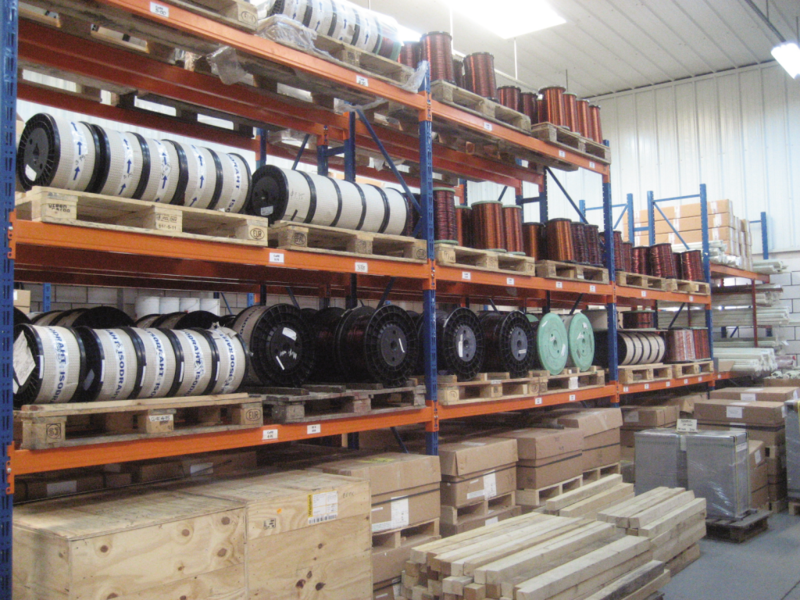 The insulation layer of these wires is an extra guarantee that the high voltage coils will continue to operate with the same performance even after years of service or an unfortunate degradation of the epoxy resin insulation. 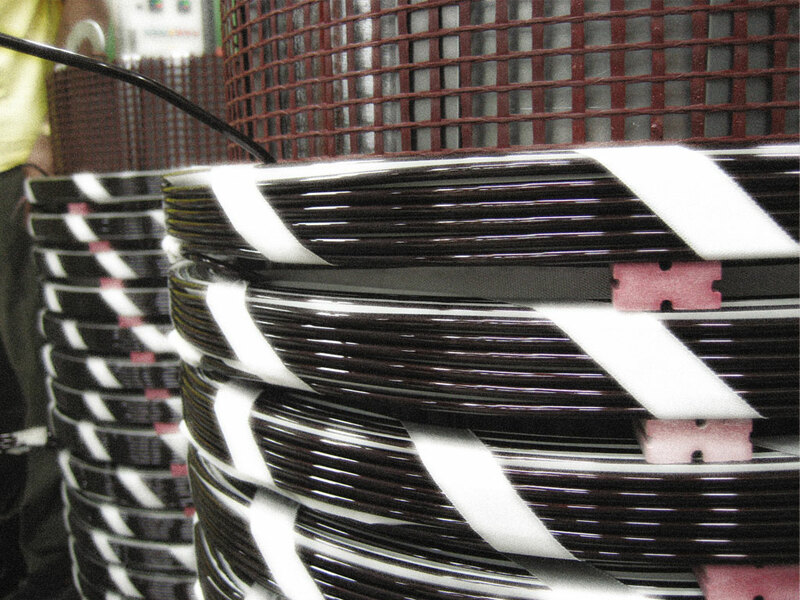 As is the case for every cast transformer or coil, resin is the material of choice for this technique of encapsulation. Nevertheless and as straight forward as the above statement might be, the proper choice of this resin is a completely different process. Resin quality can be an undermining factor in the operation, reliability and above all longevity of medium voltage cast resin transformers. Keeping this in mind, S.E.T.F worked in close collaboration with European laboratories to develop a special resin that would suit perfectly the harshest environments found on the planet. 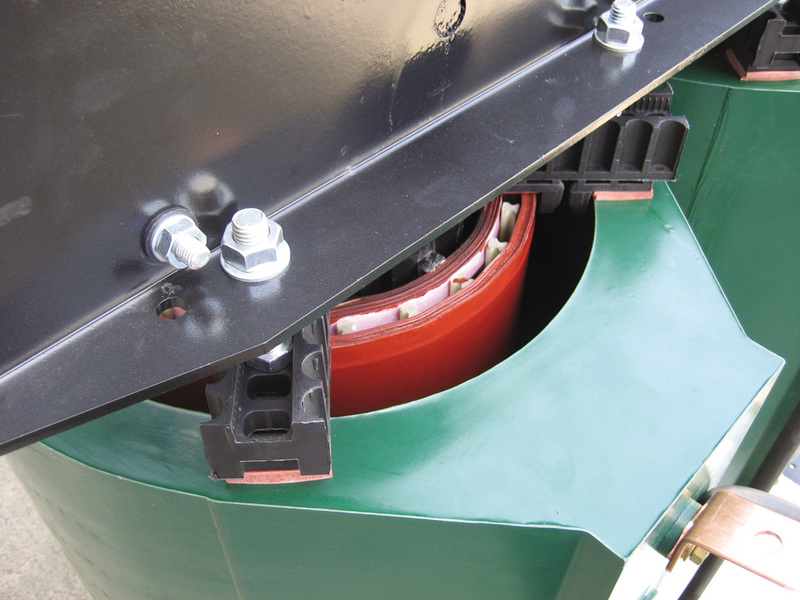 Copper-Cast transformers use a specially formulated epoxy resin, that is special in many aspects, as you will find below. 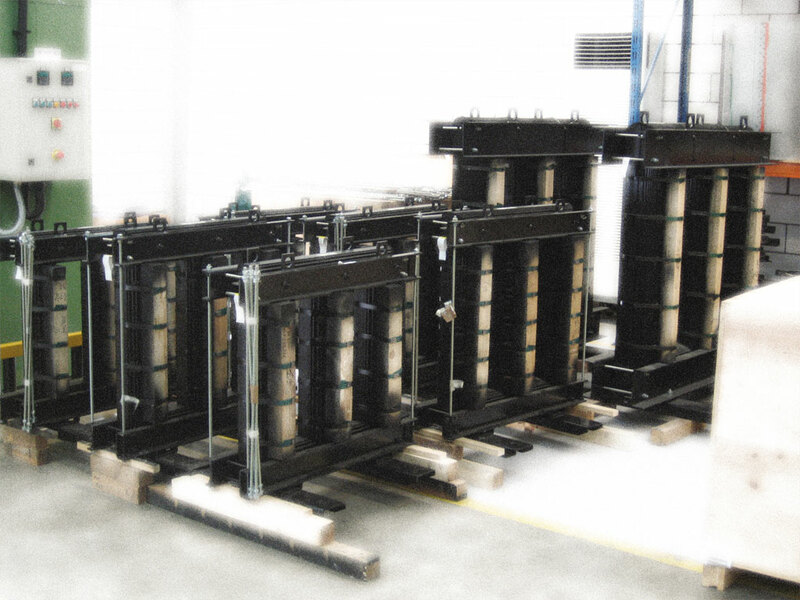 The resin used in our transformers, has been especially designed to accommodate the expansion and contraction of the copper conductors without any crack, or sustainable damage to the integrity of this insulating medium. On the other hand the special choice of filler used (tri-hydrated alumina) gives the cast coils an excellent fire behavior, due to the chemical composition and oxidation properties of this material. When subjected to a fire, the filler will first of all beak into two different components; Water molecules and Aluminum. Both of these elements are known to have fire fighting capabilities. Water will help spray the fire, thus cooling it down and reducing its calorific value, while the Aluminum will work as a refracting shield this helping defer the thermal radiation away from the coils. Additionally the thermal coefficient of S.E.T.F special epoxy resin is excellent and allows for a perfect heat dissipation and exchange between the cast copper and the surrounding atmosphere. Whatever the name is, the proper choice and design of this element is one of the most crucial steps in delivering a top notch transformer. Copper-Cast uses one of the finest magnetic steels available to date. The characteristics of this steel are detailed below. Being grain oriented and laser scribed, the magnetic lamination used is designed to give a maximum specific loss of 1.1 watts per kilogram. 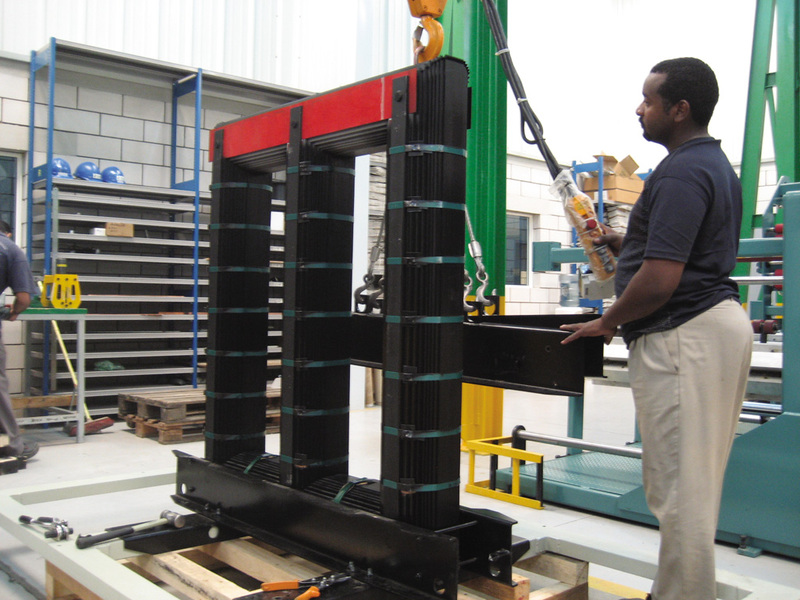 Additionally each lamination sheet is specially treated and insulated by a non-hygroscopic mineral insulation. The overall assembled structure is sprayed by a special epoxy based coating to improve operational characteristics further. The steel composition and the manufacturing feats combine to give Copper-Cast cores in particular and the Copper-Cast transformers in general a specially performing and quiet behavior. Sound levels emitted by these transformers are usually 50 to 100% lower then what is requested by the most stringent standards. The losses on the other hand are almost negligible and this can be really appreciated through the excitation current of these transformers which is always below 1% of the nominal load current. All of these characteristics are added benefits in the operation of Copper-Cast transformers reducing, losses, thus consumption and thermal pollution.